Dr. John Meis: Welcome to the Dr. John Meis Show episode one. What you’re going to learn on today’s episode is three things. First of all, you’re going to get an introduction to who I am. Second, you’re going to understand why you might want to listen to me. Third, you’re going to understand how it impacts your practice. Now you got to be wondering why am I sharing all this. Well, the fact is I’ve been in 300 practices in the United States and Canada. 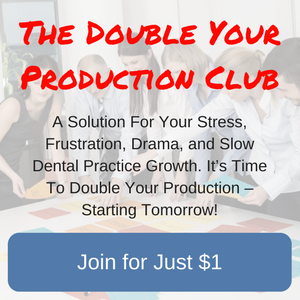 I’ve seen the good, the bad and the ugly, and I have seen dentist who struggle in practice to produce $40,000 a month and dentist who struggle to crack the $430,000 a month. Dr. John Meis: There’s a huge range and because I’ve seen so much, I’ve been able to pick out the things that allow people to take their practice from one level to the next. It’s just that simple. I want to tell you a little bit about where I started. My dental story starts in 1903. If you look at this picture, you can see a dental office on the back side of a house. There’s actually a little sign that if you look closely you can see that says office. This is my great-grandfather’s dental office. It was attached to the back of his home in Dyersville, Iowa. In the front yard, you can see a man sitting with a baby on his lap. The man is my great-grandfather who was a dentist. Dr. John Meis: The baby on his lap was my grandfather. My grandfather was also a dentist. This is my great-grandfather. This is my grandfather. He and his brother became dentists. This is my dad. He and his brother became dentists. I’m a fourth generation dentist and it kind of is in my blood. I graduated from dental school in 1986 from the University of Iowa, Go Hawks, and started practicing in a very small town in Iowa. Now if you remember the mid-’80s, that was when the farm depression was going on. That was when the family farms started going away. The family farms were starting to fail. They were going bankrupt. Grain prices were greatly, greatly depressed. Dr. John Meis: Really in this little town that totally relied on agriculture for its economy, everything was dead. It was a very, very, very hard start. I came into a practice that had been dead for three years. The previous dentist just had walked away because business was so tough. I started working in that I had no idea what I was doing. I can tell you, I made so many mistakes. I was trying to figure it out, and I was trying to learn it myself, and I was trying things and seeing what worked and seeing what didn’t work. It was really a very, very tough start. During that time, I started to have some chest pain and some fatigue. Dr. John Meis: It was slowly getting worse and worse and worse. Eventually I went to the doctor and found that I had a condition called cardiomyopathy. Cardiomyopathy is an autoimmune disease. It attacks the muscle of the heart. My doctors in this little town sent me to Iowa City where the university hospital was because they wanted me to be prepared for the transplant. Fortunately, the problem stopped. They did some treatment, the problem stopped. That was 30 years ago and I’m as healthy as can be now. But what happened was that it really scared me and the reason why it scared me, I just had a brand new baby. I had a young family. Dr. John Meis: I had less than zero money, and I had a business that wasn’t making any. I was just terrified for my family. If something happened to me, what would happen to them? I became a very good student, and I started to take all the clinical courses I could. I took great courses from The Dawson Academy. I took great courses from Frank Spear’s, Ross Nash’s Continuum, The Mission Plan Institute. Just when through a bunch of courses, learned how to do clinical dentistry really, really well. My skillset broadened dramatically. Got my IB Sedation Certificate. Dr. John Meis: Learned a lot about clinical dentistry, but the frustrating thing for me was the more I learned, the more I could do, but really I wasn’t doing anymore. I felt all dressed up and nowhere to go. I was fortunate to be invited to a consulting company’s event where they invited basically all of their top clients in to share ideas. I met some people there that understood the business side of dentistry so much better than I did. At this meeting, we all sat around a fire pit after the meeting was over and shared ideas. 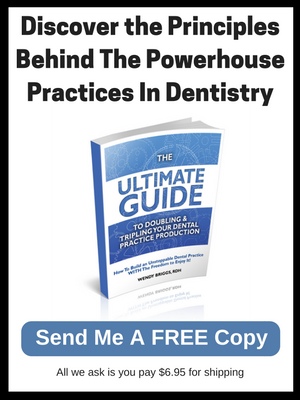 Dr. John Meis: That was when I really when I started to understand that there were people who knew the business side of dentistry way better than I did and that it was just things to learn. I finally understood I didn’t have to figure everything out. I just had to find somebody who had figured it out and learn it from them. It was a really fantastic experience for me. Once I started to implement what I learned from all these people, my practice absolutely skyrocketed. It went from two ops in Onawa, Iowa to nine ops in Sioux City, Iowa, and then 12 ops and then 21 ops. That practice when I left it was doing about $6 million on a gross production basis. Dr. John Meis: Because it really didn’t have … I have just two small PPOs, it was basically a fee-for-service practice, so those numbers are real. At that time, I merged that practice into a bigger one. The bigger one had about 50 locations. I merged my one in and we formed basically a separate corporation and built that one practice into 13 locations. When I merged it in, I joined the executive team of the bigger company. We grew that one from 50 to 120 locations when I left the company. I personally been in 300 different practices in the United States and Canada. It’s exactly 300. I’ve seen the good, the bad and the ugly. Dr. John Meis: Because of I’ve seen the good and the bad and the ugly, I have a lot of things that I can share with you that will help your practice. That’s my story. I am really excited to jump into this project and this show. One of the things that I’ve learned and I want to talk a little bit about is that in order to transform your practice, everybody thinks that it’s a big job and it’s a lot of work and I can’t go from here to here without tremendous amount of change. That’s not what I’ve observed. What I’ve observed is that little hinges swing big doors. Dr. John Meis: Small changes in a practice can have big impact on the patient experience, on productivity, and on profitability. We’re not looking at changing everything. You want to look at changing the things that are going to matter. Small hinges swing big doors. The trick is finding the right knob to turn in order to get that big effect from the little hinges. The trick is figuring out what the right thing is. 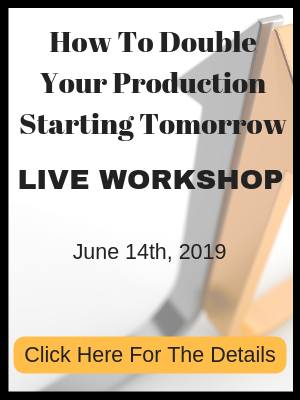 That’s one of the things that this show is going to bring you is it’s going to give you insight into what to look for so that you know what is the one or two or three things that we need to do in order to make your practice explode. Dr. John Meis: The focusing on a few things is really making sure that you have a very, very clear practice vision. Where are you going to go? What does your ideal practice look like? Does it look like a fee-for-service cosmetic and restorative practice? Does it look like a general bread and butter type practice? Does it look like multiple doctors? Does it look like multiple locations? Does it look like being in multiple states? What does your ideal enterprise look like? That’s a question only you can answer. Once you have that answer, you will find that the things that we discuss on this show are going to help you work towards that vision. Dr. John Meis: You’re going to be able to steadily step one step at a time closer and closer to what your ideal practice is, but the first step is vision. On our introductory episode, I want to end with this quote. It was Helen Keller who said it and I love this, “The only thing worse than being blind is having sight with no vision.” I want to challenge you all to make sure that you clearly understand what is the ideal practice for you. When you understand that, well, I’ll see you on the next episode of the Dr. John Meis Show.